Are you someone who would like to add some finishing touches to their basement, shop, restaurant, or garage? 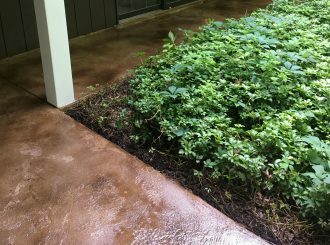 How about a business owner who uses chemicals and other materials that would etch, discolor, or permanently damage their concrete substrate? Or are you someone who would love to increase the strength of your substrate, and have a variable degree of slip resistance? If so, decorating your concrete with either a resinous (epoxy) coating, or overlay may be the solution you are looking for! What is the difference between epoxy floors and overlays? Epoxy floors are a resonous floor coating that is poured and spread over the entire surface of the floor. It can be enhanced by using color flake chips, colored quartz, or reflective colored metal particles to give it that 3-D effect. Overlays are just as the name suggests. A layer of concrete polymer is applied over the surface, and then shaped into whatever form you wish – tile & grout, wood look, flagstone, brick, etc… Once that is applied and stained, a clear epoxy or urethane is then applied to protect it from scratching, weather, or chemicals. Why should I hire you to put epoxy on my floor? Aren’t all epoxies the same? Putting epoxy paints in the same category as epoxy floor coating is the same as comparing a tool shed to a mansion. They are both considered shelters, but that’s where the similarities end. Epoxy paints are typically one part solutions and is either solvent or water based. When dry, it has as much strength as a couple coats of paint. True epoxy is 2 parts – a resin and a hardner. Once applied, it creates a mechanical bond with the concrete. It is tremendously harder than typical epoxy based paints. What does it mean when it says epoxies should be 100% solids? 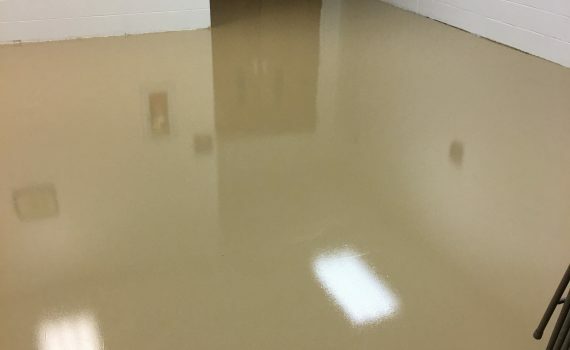 The solids content for epoxy refers to how much of the material is actual epoxy when applied to the floor and how much is the carrier. 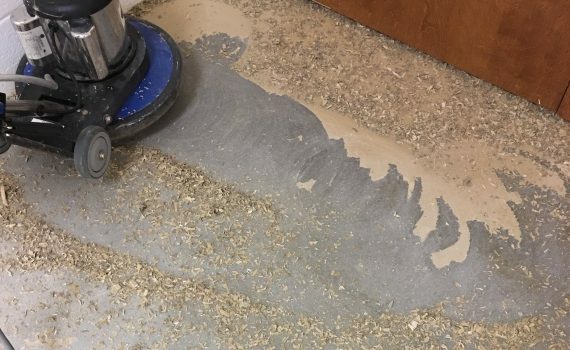 For example … if your epoxy says 50% solids, that means when applied to your floor, only 50% of it will be epoxy, and the other 50% will be either water or solvent that will evaporate away while curing. Obviously, the higher content of epoxy, the better. Newly Restored only uses 100% solids. Once my floor is decorated, how long can I expect it to last? That is dependent on what kind of traffic will be on it. If you have normal foot traffic, you can expect a very long life out of it. If you drive forklifts over it, you can expect it to break down quicker. Many factors come into play when we estimate a job – traffic, chemicals used on it, potential hazards, etc … Once we know these factors, we will recommend a floor that will hold up to the highest punishment and still retain its integrity.